Just as human being relies on clean air to live, your car engine also depends on fresh air to function at its peak. An air filter protects the engine from harmful particles and pollutant that can significantly damage or hamper the engine’s performance. Unlike the flimsy paper filter your truck, car, or SUV came with, replacing your stock filter with a performance filter made from quality material can make your engine work better and last longer. You’ll be able to see improvement in torque, horsepower, fuel economy and your engine reviving like new. Which aftermarket air filter is best for your car? With so many options in the market, we researched and reviewed all the top-selling products. We figure its best we assist you in your search for the best air filter by considering several factors like performance, quality, price and other relevant factors. We are happy to recommend the K&N 33-2385 Replacement Air Filters for you. The K&N 33-2385 Replacement Air Filter is designed to increase acceleration and horsepower while improving fuel mileage and providing excellent filtration. The filter is washable, reusable and designed to fit into your car primary air box. The drop-in design makes it one of the most straightforward modifications you can make to your car. The installation process is simple and straightforward with most customers installing the filter in the comfort of their garage or driveway. The K&N Air Filter uses state-of-art material like porous cotton fabric, cotton gauze, and porous form to block dirt and other particles from causing damage and ultimately increasing the engine’s lifespan. The filter remains the best in the market that offers affordable market price with high quality and performance. If you work in a dusty environment, the K&N High Flow Air Filter could genuinely save your engine from dust and other damaging particles. The filter is designed to fit your car seamlessly and effortless. The K&N 33-2385 automotive filter is designed to increase acceleration and horsepower to your truck or car while providing excellent engine protection. 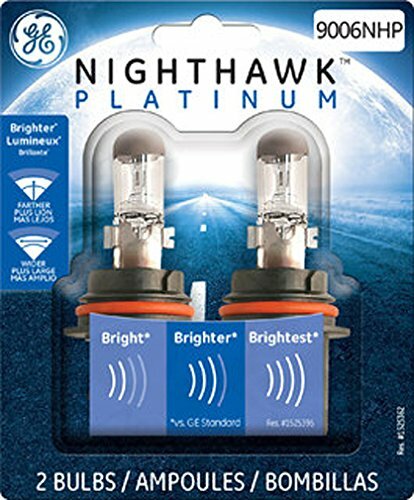 The replacement filter is backed by the company’s Million Mile Limited Warranty. The filter installs easily and can last up to 50,000 miles before servicing though depends on driving condition. The K&N Replacement Filter is designed to increase the horsepower through the use of filter media. This unique feature was initially developed for desert motocross which requires maximum acceleration and horsepower while protecting the engine from dust, dirt and other off-road particles. The filter achieves high and virtually unrestricted air flow while protecting the engine’s life. The washable and reusable filter consists of different layers to improve the overall performance of the filter. The K&N Air Filter is manufactured and designed in the USA using high-quality materials. The filter is washable and reusable, and it’s almost impossible to over clean or overuses the product. The K&N Filters has been tested more than 100 times inside the company’s laboratory to confirm its performance. The air filter can go over 50,000 miles between cleaning though largely depends on your driving condition. An instructional manual is included in the package, follow the easy steps to clean and re-oil your filter. The K&N qualified engineers used the latest technology and advanced software to produce the Replacement Air Filter. The filter is very light and made from the best raw materials. The engineers used an alloy mesh couple with epoxy coating to ensure protection from oxidation and petrol fumes. 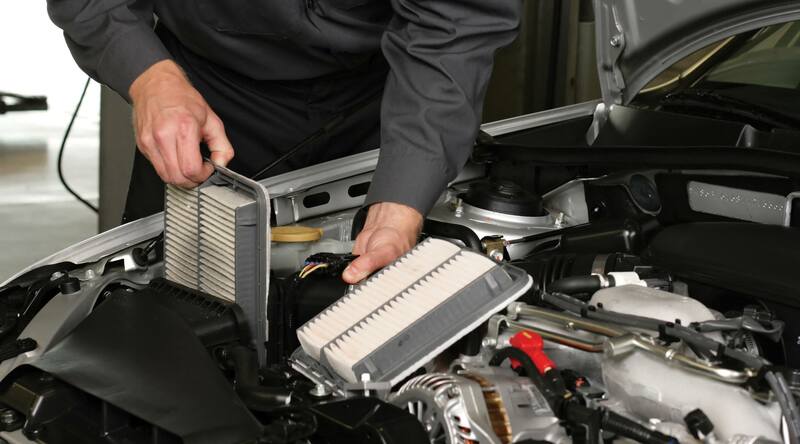 Don’t let an inefficient restrictive stock air filter hold your engine performance back. 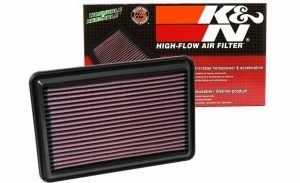 The K&N 33-2385 High-Performance Replacement Air Filters provides your engine with cleaner air which will improve your fuel economy, add more horsepower and torque for you. Picking the wrong filter can ultimately reduce your car performance. The K&N Air Filter Price is affordable for customers on a budget. The air filter offers the best performance and lasts for an extended period.